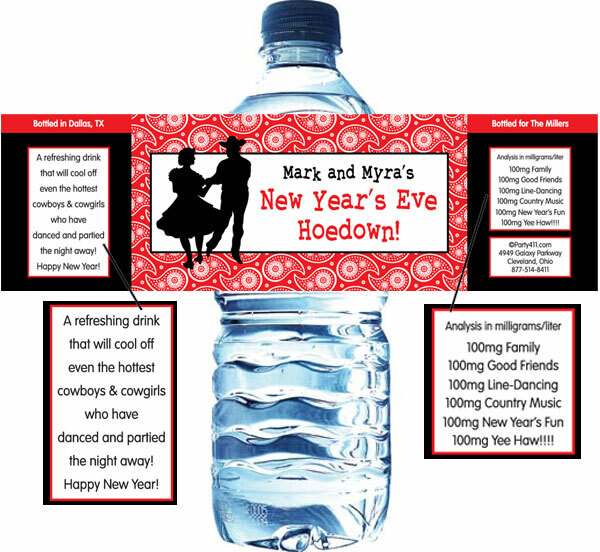 Party411.com offers a great selection of New Year's Eve theme water bottle labels. These are a great addition to your New Year's Eve celebration. 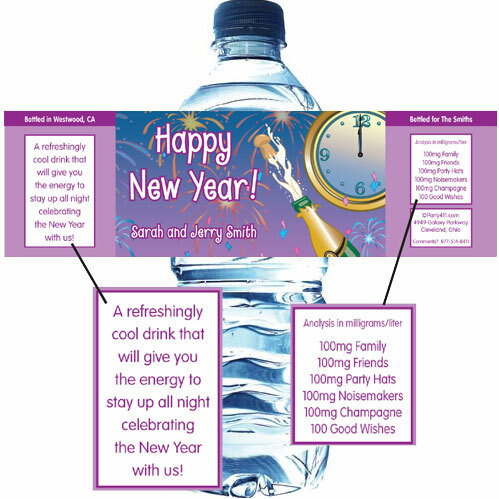 A personalized water bottle label for New Years! Western theme water bottle labels make for a great party favor!